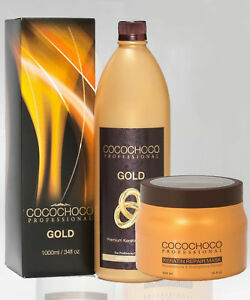 COCOCHOCO Keratin Mask 15 FL oz \ 500ml. Liquid 24k gold reduces static electricity in your hair and reduces hair water absorption, protecting it from humidity, salt water, and rain. Use COCOCHOCO Sulphate Free Shampoo with every wash.